Our C6 Corvette Fender Gels will allow you to show off your engine and horsepower rating with pride. 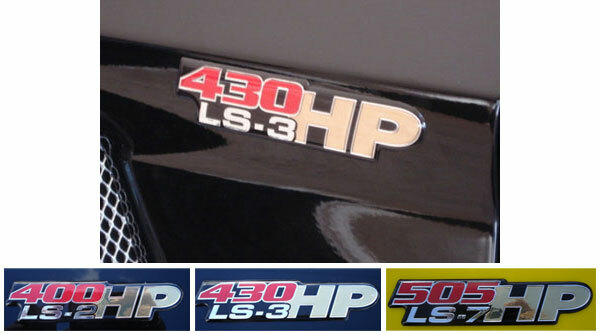 Make everyone at the show envious, Choose from LS2 400 hp, LS3 430 or 436 hp, and LS7 505 hp. *Note: LS3 equipped C6 Corvettes with the standard exhaust system are rated at 430 hp while Corvettes with the optional dual mode NPP exhaust system are rated at 436 hp. Copyright 2019 Corvette Mods LLC. All Rights Reserved.